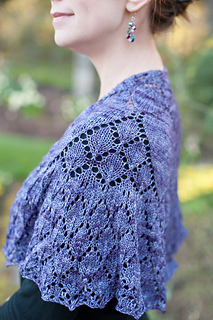 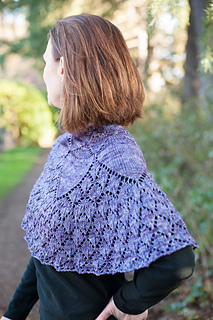 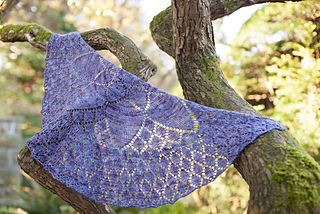 Dianella was the pattern included in the JANe Kit that debuted at Vogue Knitting Live Seattle and was the first installment in the 2013 JANe Garden Club. 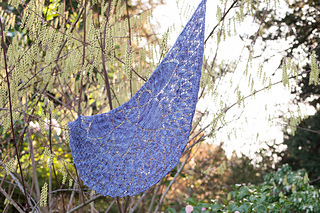 Wrap yourself in the soft petals of Dianella, a half-moon shawl named for the blue flax lilies that blanket much of Australia. 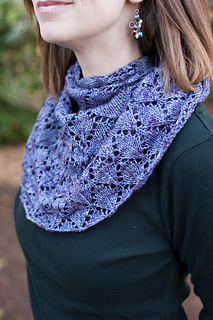 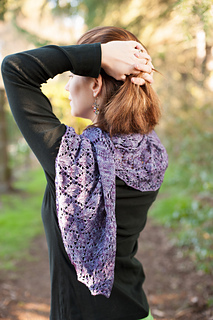 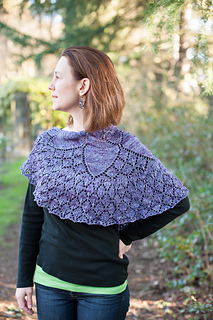 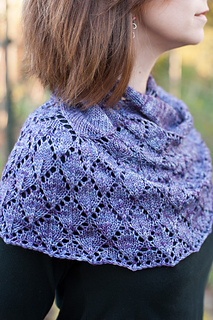 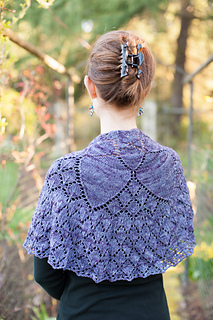 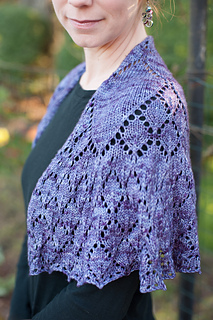 Knit from the top-center down, Dianella features a bold blossom design surrounded by a simple repeating petal pattern. 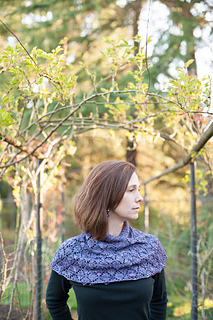 You don’t have to have a green thumb to add this flower to your garden—just two sharp needles!